The Raptor Bino is 100% designed and manufactured in the USA. 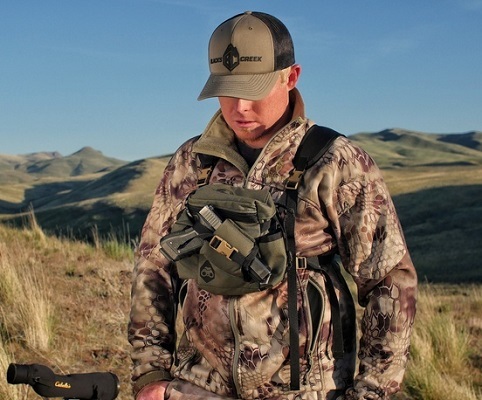 Raptor, a universal harness which carries your gear comfortably, right in front of you. THE MOST INNOVATIVE MULTI-PURPOSE OPTIC SYSTEM ON THE MARKET. 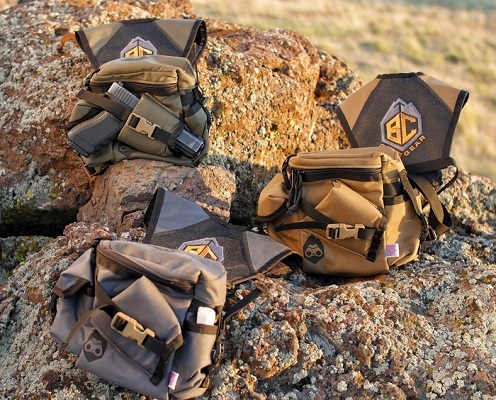 CARRIES YOUR BINOS, SIDE ARM, RANGE FINDER, PHONE OR GPS, AND LICENSE AND IN ONE COMPACT CASE WITH AN AMAZING HARNESS SYSTEM THAT WON'T CRAWL! Compact, yet roomy enough to hold your 10 x 50 binos, range finder, cell phone, license, and YES... Your side arm. The Raptor's unique design keeps the carrier tight to your chest and doesn't crawl up your back. It's modular design allows the carrier to be unclipped from the harness and attached to your pack's shoulder straps. 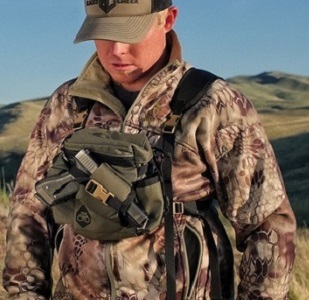 At an MSRP of $149.95, the Raptor is an affordable alternative to expensive options .